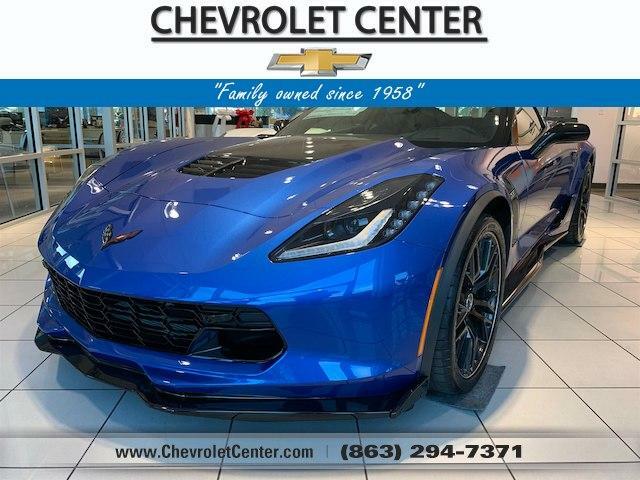 Navigation, Heated/Cooled Leather Seats, WHEELS, Z06 SPECTRA GRAY-PAINTED WITH MACHINED GROOVE ALUMINUM, Premium Sound System, Back-Up Camera, CARBON-FLASH PAINTED GROUND EFFECTS P. REAR AXLE, 2.41 RATIO, ELECTRONIC LIM. CARBON-FLASH PAINTED GROUND EFFECTS PACKAGE includes Carbon Flash-painted splitter and rockers, and more aggressive rear spoiler, SEATS, COMPETITION SPORT BUCKET, TRANSMISSION, 8-SPEED PADDLE SHIFT WITH AUTOMATIC MODES, Z06 SPECTRA GRAY-PAINTED WITH MACHINED GROOVE ALUMINUM 19 x 10 (48.3 cm x 25.4 cm) front and 20 x 12 (50.8 cm x 30.48 cm) rear, REMOTE VEHICLE STARTER SYSTEM, REAR AXLE, ELECTRONIC LIMITED SLIP (ELSD), AUDIO SYSTEM, CHEVROLET INFOTAINMENT SYSTEM WITH NAVIGATION and 8 diagonal color touch-screen, AM/FM/HD stereo with seek-and-scan and digital clock, includes Bluetooth streaming audio for music and select phones; voice-activated technology for radio and phone; featuring Android Auto and Apple CarPlay capability for compatible phone (Includes (UQT) performance data and video recorder.) (STD), ENGINE, 6.2L (376 CI) SUPERCHARGED V8 DI (650 hp [485 kW] @ 6400 rpm, 650 lb-ft of torque [881 N-m] @ 3600 rpm) (STD). KBB.com explains The 2019 Chevy Corvette's interior is as smart as its exterior -- well built, well-appointed and one of the most comfortable in the sports-car class..